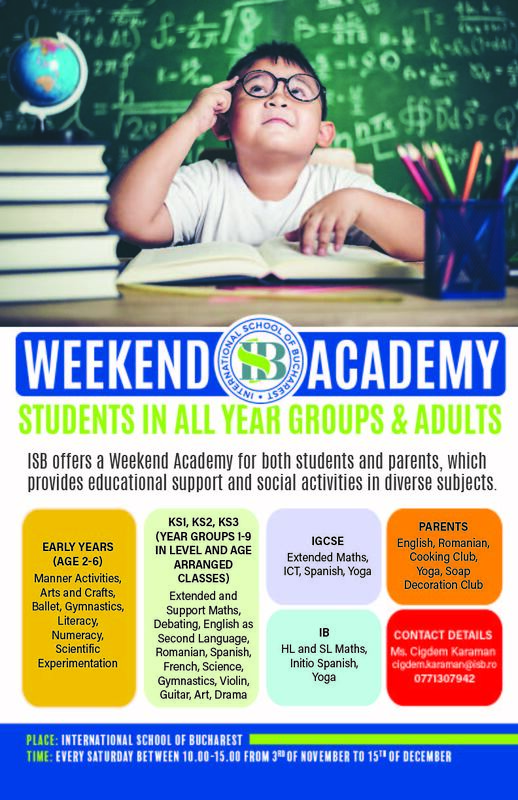 ISB Weekend Academy is a 7 weeks Saturday programme designed for both the students and the parents. The programme starts on Saturday, 3rd of November and continues for seven weeks, every Saturday, from 10.00am- 3.00pm. Please contact Ms. Cigdem Karaman, the ISB Weekend Academy Coordinator and ISB Maths Teacher, at cigdem.karaman@isb.ro or at 0771 307 942.